Minus1 wrote: The person who claims GPS is useless in the UK is taking complete rubbish, and obviously doesn't have a GPS puck themselves. You are right I do not have a GPS on mine. And if my understanding of what Unidens GPS system does is wrong then sorry. But my understanding was that all the GPS did was switch certain banks on or off when in or out of a certain range of a set location. So unless you have frequencies programmed into multiple banks it's of no use mobile & just an over priced way of doing something that is easily possible to even the least able. Take someone who drives around an area doing deliveries. They cover several towns & no more than a few hundred miles each day. To my understanding they would need the bank for town A to include to frequencies from town B that can be heard there. To my mind that is not GPS control, it's a poorly conceived idea being used to make extra profit. I have an old Radio Shack scanner in my car & do have various banks programmed up for various local towns. However I do not need to spend silly money switching them on & off & I do not have a GPS dictating what I need to program into banks, due to them being switched in & out automatically & regardless of conditions on that day. It may be handy to have say, bank 1 switch on or off when you are around Heathrow. But unless I am able to program the GPS to switch them in or out at set points on various routes. And my understanding that is well beyond the Uniden GPS system. Then what is the point? Plus if I am driving down to Heathrow it only takes me one button press to switch Bank 1 in or out on my old Radio Shack. So it's not exactly distracting & if I hear nothing or worse still if it Heathrow is down in the noise & all it does is open my squelch. Then I press button 1 again to switch it out. For me what makes the GPS system pointless, not useless. Is that it has not been thought through properly & it is not fully GPS operated. I want GPS to switch in what I might hear & switch out what I am loosing. Not whole banks & without my control. For me, if GPS gives me value for money, I'll use it. But for me the Uniden GPS system is just a very expensive way of avoiding pressing a button. And edited to add. You are absolutely right that the 15X is designed primarily as a mobile scanner. But Uniden supply it with a mains power supply, so clearly even Uniden see it as a radio suitable for base use. Plus if you look at Unidens past history they have always in the past had a decent base scanner & at the moment they don't only the entry level 360CLT. Which again points to Uniden seeing the 15X as dual purpose. Can you put an out door antenna up? As that is the best solution. But not the only solution. 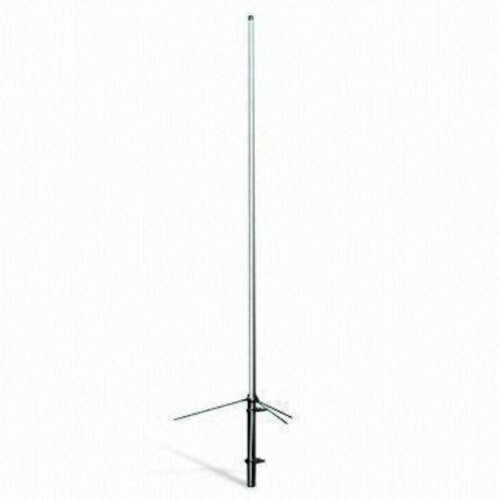 If you can put an outdoor antenna up, then make sure you budget for the wall bracket, the pole & the coax. So at least £100 & almost certainly more. A loft antenna will work, but not as well. But we all have to make compromises. Or most of us do. So don't think of a loft or a indoor antenna as second best, think of them as YOUR best option. If that is what you do, it's because it's best for you, for what ever reason that is. 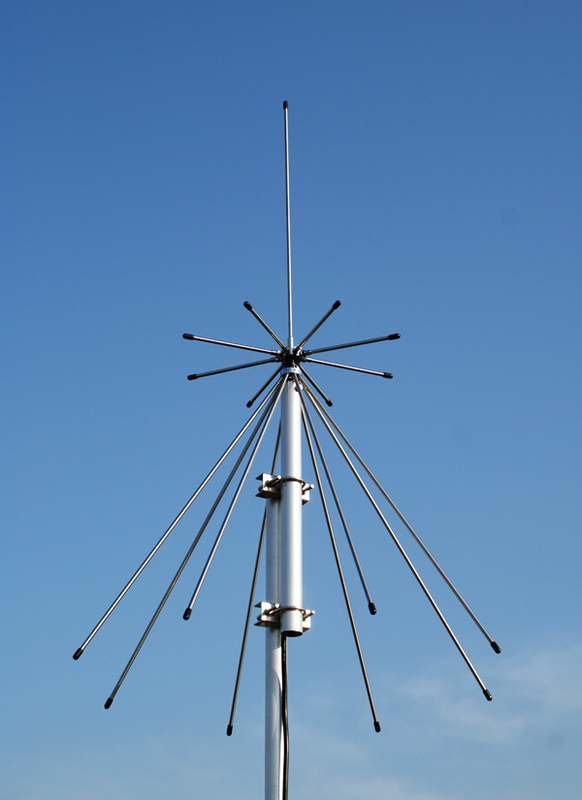 Commercial outdoor & loft antennas come in two main varieties. Discone & amateur radio vertical. A discone looks like this..
An amateur radio dual band (white stick,) looks like this.. Height matters, so preferably a loft or a outdoor antenna. But something like this can be used in a variety of settings. My daughter used one of the above taped to the legs of her cabin bed when she first got licensed & I use one regularly when out & about. It will hang from a tree or in a loft, it will tape to a fibreglass pole & go up outside or push through a window, or even sit in a rucksack as a tall vertical for pedestrian mobile. The above will even hang in a window or in the corner of a room. Commercial versions of the roll up are available for £22 including postage & they are just plug & play as they come with coax etc. 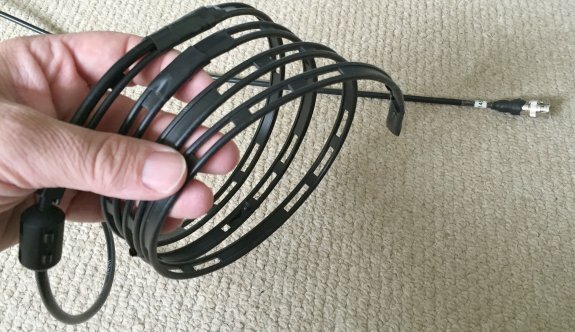 The roll up antenna (Nomad linked to above) Make a great out & about antenna for use on Holiday, from hotel/ Bed & breakfast locations etc etc. It's better than a small rubber duck antenna & cheap enough to keep replacing when being bumped around shows. The BCT15X, with a GPS puck attached, uses the location set in each "Group" (not "Bank") if the centre point is defined (Latitude, Longitude), and the range is defined, and the "GPS Enable" is set to on for that Group. The area you define is up to you, and whether you overlap areas is also up to you. There is nothing to stop you having more than one Group for the same location, using a different range. Since I can't be bothered to remove the GPS puck from my car everytime I arrive home, nor place it back in my car everytime I go out, see little point in buying another puck, and because Uniden didn't bother to let you enter your location manually ), I have specific Systems set up for things I wish to receive at home. These are enabled using a specific Startup Key  when I switch the scanner on at home. Another Startup key  is used when I switch the scanner on in the car to enable all the GPS enabled Systems that I do not wish to scan at home because they are too far away. Switching it using no Startup Key simply leaves things as they were last time I used it. A helpful way of managing all this data (as each System can only have 20 Groups) is to use the fact that Systems can have 3 digit Number Tags, but Quick Keys only have 2 digits. Note that I use the keypad as a kind of regional 'map' of the UK, North at the top, South at the bottom, West on left, East on right. This avoids having to remember which region has which number. With  left for anything miscellaneous. So each System (Region) can be locked/unlocked by a Startup Key. All unlocked Systems are activated by the same Quick Key . Each Group (Airport) in Systems that are currently unlocked may be locked/unlocked by the GPS as I drive around. Birmingham Airport, because it is near me, exists in both System 665 (Midlands Airports) and System 660 (Home Airports). 665 is locked at home by Startup Key 9, but 660 is unlocked. 665 is unlocked whilst mobile by Startup Key 0, but 660 is locked. Thus I can choose to listen to Birmingham Airport using Quick Key 66, whether I am at home, or mobile and near the airport. Plus I have a specific "Home" System on a Quick Key  with no Startup Key, that I can switch on and off easily whenever I wish.